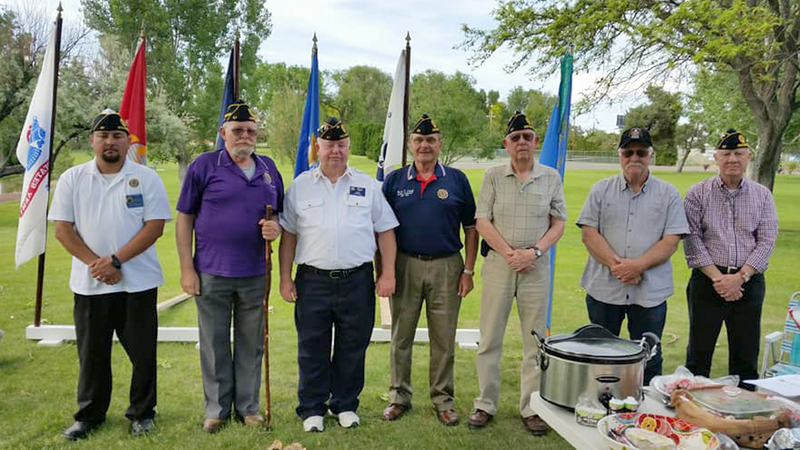 The American Legion Post 67 in Ontario will host a parade this Saturday – a day before Veterans Day – to thank and honor veterans in Malheur County for their patriotism, service and loyalty to this country. ONTARIO – A parade of veterans and military units from all over Malheur County will take place this Saturday – a day before Veterans Day – in Ontario to thank and honor area veterans for their patriotism, service and loyalty to this country. The parade, hosted by the American Legion Post 67 in Ontario, will assemble at 1 p.m. at West Parks Plaza in Ontario. “We will head straight down SW 4th Avenue and then will hang a left on Oregon Street and go for a couple blocks,” said Dan Burks, the district commander and Ontario Post 67 commander who is in charge of organizing the parade. The Legion’s Department of Oregon Commander Tom Harris will be this year’s grand marshal. Burks said the American Legion is celebrating its centennial year. “It’s also been our 100 years for our post; and there’s one for each major city,” he said. Burks said Congress established the American Legion in 1919. He pointed out that Nov. 11 is also the 100th anniversary of the end of World War I.
Burks said the American Legion hosts a parade for veterans every year because it’s a way to show the community why it’s important to recognize these individuals. He said the Legion is known for its assistance in the creation of the Veterans Affairs, the drafting of the GI bill, the formation of American Legion baseball league, among other service achievements. Burks said it’s great to see children attend the parade to see the veterans, but it would be even better to see the children participating in the parade with their parents. He said the parade has been getting smaller each year. To reach out to younger audiences about their work, the American Legion recruited students from the Ontario School District to participate in this year’s parade, said Burks. He said he hopes to raise awareness for the Legion veterans who have helped others in the community. Burks will also be speaking Sunday, Nov. 12 at the Evergreen Cemetery at 11 a.m. as part of the Veterans Day observances.